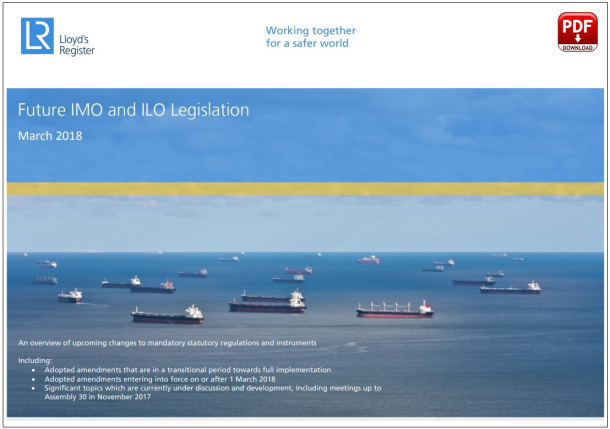 This document published by LR, summarizes the most important IMO/ ILO requirements entering into force. This information is recommended for Technical, Safety, Quality, Crewing and Operation departments of Maritime companies, but there is also information relevant for yards and newbuilding departments. We hope you will find the information useful.